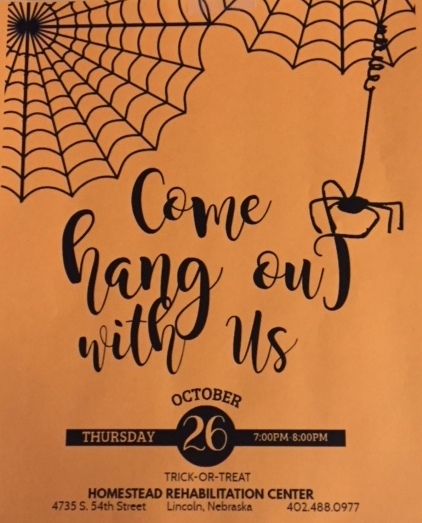 TRICK-or-TREAT with our residents on Thursday, October 26th from 7:00 p.m. to 8:00 p.m.! Homestead Rehabilitation Center offers an annual Halloween party, where kids will have a safe environment to trick-or-treat. Our residents are looking forward to handing out the treats! 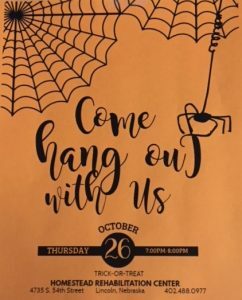 Hope to see you (and your costumes) on Thursday, October 26th!